According to the United Nations Food and Agriculture Organization (FAO), global consumption of meat and dairy products will increase by 102% and 82% respectively between 2000 and 2050. This increased consumption is due to the world’s population rising to 9 billion by 2050 and as developing countries continue to increase their meat consumption as per capita incomes rise. To accommodate 9 billion people, current food production will need to nearly double. Our oceans are over fished and climate change and water shortages could have profound implications for food production. 9 billion people alone forces an increased food output from available agro-ecosystems resulting in even greater pressure on the environment. Shortages of agricultural land, water, forest and biodiversity resources, as well as nutrients and non-renewable energy are expected. But there is also an increasing number of pets to feed. Pets are considered, by the majority of pet owners, as part of the family. Pet owners are now thought of as pet parents who want to feed their pets food products similar to the food products that they feed themselves. When choosing protein sources for their pets, this translates into “human grade” meats, poultry or fish and the rejection of any ingredients considered to be of lesser quality such as meat or poultry by-products or meals. As expected, pet food manufacturers are responding to the consumer demands. This new marketing strategy from pet food manufacturers to formulate products with label claims as “high protein”, “fresh meat” and “no by-products,” has perhaps further disoriented consumers about their pets nutrition needs and led them to believe that perfectly healthy and nutritious ingredients like organ meats, which are by-products, are bad for their pet. The use of the marketing term “human grade” has led consumers to think their pet’s food should be the same or at the least similar to those found in their own food. An increasing human population and an increasing pet population where pet parents choose to feed their pets the same protein sources as they feed themselves is not sustainable. The pet food industry has begun competing directly with the human food industry for many protein sources. With so many human and pet mouths to feed finding alternative protein sources is imperative. Pet foods in particular will see its sources of protein-based ingredients dwindle. Today there are an estimated 1 billion chronically hungry people worldwide. What we will eat and how we will produce food needs to be re-evaluated. We need to find new ways of growing food. It is estimated that insects form part of the traditional diets of at least 2 billion people. 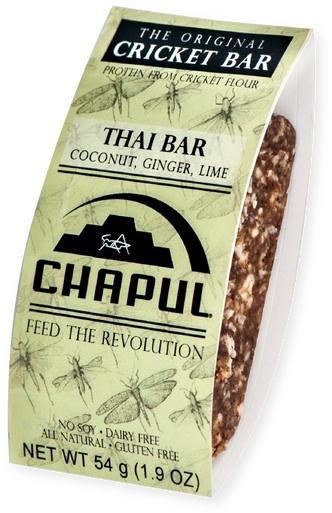 Insects are a highly nutritious and healthy food source with high fat, protein, vitamin, fiber and mineral content. 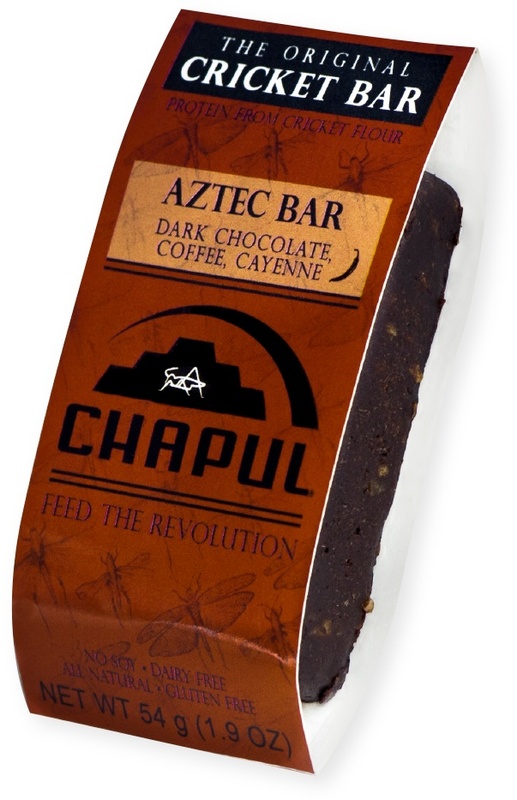 Chapul’s bars are the first insect-based protein products in the United States. The first step toward broadening our palettes and bringing American cuisine in line with 80% of the global population which regularly eats insects as part of a healthy diet. I wondered if our The Tiniest Tiger community is ready to accept the challenge to try this alternative source of protein. 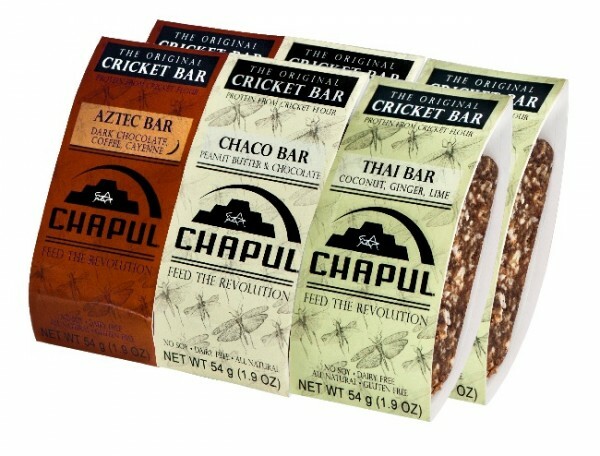 Enter to win 3 Chapul, The Original Cricket Bar. One Chaco, one Thai and one Aztec bar. Enter your information in the contest widget so we know where to ship your prize if you win. Tell us in a comment below this post if you would eat a protein bar made from cricket flour and if you worry about feeding the world’s growing population. Because this is a food item, this contest is open to friends living in the USA. Sorry about that. The comment below this post is important. If your name is drawn and you didn’t leave a comment, another winner will be chosen. This contest will end on May 5 , 2014. Please one comment per person. I will enter all names in to Randomizer.com. The winner will be notified by email or through facebook depending on the contact information you provide. If you connect through facebook, check your Other messages not just your main messages. Make sure you are watching for an email from us. The subject line will say Chapul, The Original Cricket Bar Winner! Void where prohibited by law. I have friends that say they are very tasty. I think I would try it. Cricket flour? I suppose I could try that. My husband brought home a box of cheese-flavored crickets last year from a youth missions trip. They were covered in nacho cheese powder and I did NOT try any! But cricket flour is a big difference. I do worry about feeding the world’s population, which may be WHY I’m willing to try these. Were the crickets whole and covered in nacho cheese powder? That is a big difference. My friends say they are very good but I have yet to be able to try one myself. Yes, they were whole: legs, antenna, the whole shebang! He also brought back something else, like maybe termites, that had some type of Oriental flavoring. We’d try the cricket bars. We see a lot of homeless folks here due to the nice weather & discuss how they feed their pets. That is great you are willing to try. Cricket flour! No I wouldn’t. It will take a lot to get over the ick factor. That might be the biggest obstacle. I would love to try these!! My kitties need meat more than I do, so I do worry about food source issues. That is true, cats are obligate carnivores and we are not. Thanks for being concerned and willing to try. I don’t know. My husband would. Are you volunteering him? Or is he adventurous with his food? I’m not quite sure I’d be able to actually eat one of these, but I’m curious. I know other family members who would be more likely to eat it. Linda, I understand completely. To be honest, I have mine here in the office and have not tried one yet. LOL! Well, I’m going to an anime convention near Chicago in two weeks – my daughter has a lot of crazy friends. I’m sure we can find someone willing to try them (or who we can trick into eating one……). Hopefully they’ll get here in time for that. They are on their way to you now. You should have them by Thursday or Friday at the latest!! Linda, you are about to find out! You are the winner of the Chapul bars. They are on their way to you now. We will be super curious to know what you think of them. Judy, no moving in the mouth. They are made from cricket flour. A friend ate termites in Namibia, but I just watched her eat them. I need to steel myself a bit more. From the looks of things, you have a pretty good chance of winning this giveaway! Thanks for being brave.